In recent years we have seen Dutch courts finding the Dutch state guilty of massacring hundreds of civilians in Indonesia during the Indonesian War of Liberation (1945-1949). In 2016 Remy Limpach’s historical thesis, that the Dutch political and military leadership at the time had been responsible for the use of structural violence that amounted to war crimes, was well received in both the popular press as well as among academics. 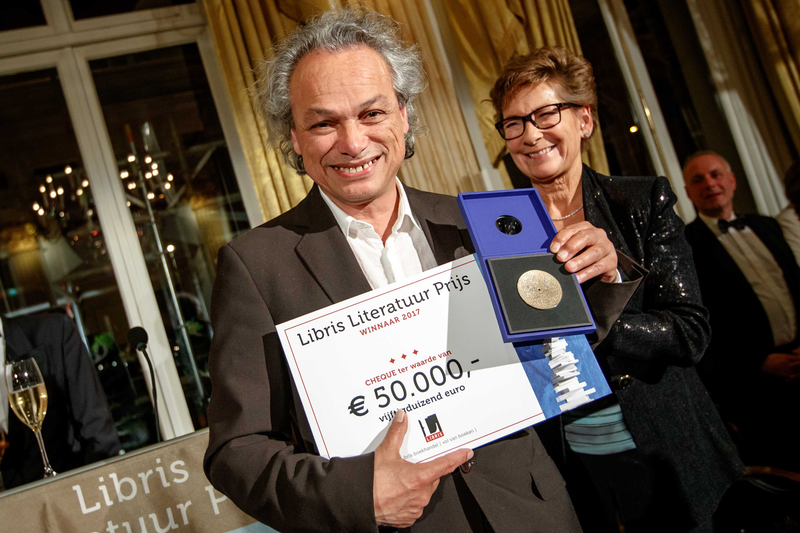 Last month’s decision of the jury of the Libris Literature Prize marks another milestone in the Dutch coming to terms with their past by working through the trauma of decolonization. In an interview broadcast on television in May 2016, Birney admitted that the novel was autobiographical and that “everything really happened.” The book tells the story of Alan Noland (clearly based on Alfred Birney himself) and his relationship with his father, Arto or Arend. Arto, the interpreter from Java of the book’s title, was the illegitimate son of an Indo (Eurasian) lawyer and his Chinese housekeeper. During the Indonesian Revolution (1945-1949), Arto, like Birney’s own father, had chosen to fight on the side of the Dutch against the Indonesian republican nationalists. Arto had become a translator or interpreter for the Dutch Royal Marines. In an interview on television in 2016 Birney admitted that the title “Interpreter” was a euphemism. In reality his father interrogated prisoners of the Dutch and was given “100% a blank cheque” allowing him to abuse and torture the prisoners. The attempt to understand the violence of his own father and the monsters that haunted his father forever more is what led Birney to penning this historical novel. But Birney’s personal quest becomes simultaneously an interrogation of Dutch colonial history and its consequences for the postcolonial generation, who found themselves bearing the brunt of the scars that history had inflicted upon their parents. Dutch literary practice has long suffered from what Rudy Kousbroek infamously called “East Indies Camp Syndrome”. Put another way, looking back at their experience in the Dutch East Indies, Dutch novelists, historians, and memorialists have seen themselves as the misunderstood and unacknowledged innocent victims. After all, they had spent World War Two imprisoned in Japanese “concentration camps”. Kousbroek, who himself had spent the war in such a camp, would have none of it. For one thing, such a view ignores the fact that many Dutch spent the Japanese occupation of Indonesia outside the camps. But these Dutch were slightly darker skinned, because, like Birney’s father, they were of mixed Asian-European heritage. The story of these Indos outside the camps has been eclipsed, white-washed out of history, by the hundreds of volumes of memoirs that describe life within the camps. As Birney put it in a newspaper interview with the NRC Handelsblad, a type of apartheid exists in the Dutch literary world, whereby the experience of the white Dutch has been privileged. His book, which includes the terror and violence suffered by the Indos outside the camps, provides a magnificent corrective to this blindness. Like much of so-called trauma literature, Birney avoids telling us a traditional narrative. His novel is fragmentary, with a variety of voices and includes multiple genres. It includes interviews, email exchanges, official documents, memoirs as well as more straight forward narration. A large part of the book is supposed to be a memoir written by Arto and discovered by the chief narrator, his son Alan. Arto’s memoir tells of his youth under a racist colonial regime, his experience of being tortured by the Japanese and the commencement of his career as a killer, the bloody outbreak of the Indonesian Revolution in 1945 with its barbaric killings of Japanese soldiers and Dutch civilians. We then receive a blow by blow account of Arto’s experience in the Dutch army. Reading this section I had a feeling that I was reading a manga graphic novel or watching a Rambo style movie. I lost count of the number of Indonesians who fell victim to Arto’s macho warrior prowess. He spears them to death, cuts their throats with a dagger, shoots them out of trees, murders them in the still of the night, mows them down in battle, tortures them, then disposes of them. In the television interview quoted above, Birney informs us that during his early childhood, instead of hearing fairy tales, he was force-fed his father’s “Rambo-like stories” of cruelty. Are we supposed to believe this account of mammoth cruelties? Birney leaves us multiple hints that Arto is an unreliable narrator and near the end of the novel Alan is attempting to weigh up the truth value of Arto’s ramblings. But whatever the veracity of these tall tales, Birney leaves us in no doubt that some Dutch military forces in Indonesia behaved badly. Being persona non-grata among the leadership of the new Republic of Indonesia, Arto, like Birney’s own father, joins the hundreds of thousands who are “repatriated” to the Netherlands. Like Birney’s father, he soon marries a white Dutch woman and they start a family. Arto feels estranged in his new homeland (the dilemma of the cultural hybrid is expressed in his surname, “Noland”!). The mother seems almost ashamed in public of her dark-skinned children, and is uninterested in their Asian heritage and her husband’s past. She represents the readiness of the people of the Netherlands who, for decades, proved more than willing to unremember their own colonial past, especially their colonial war. 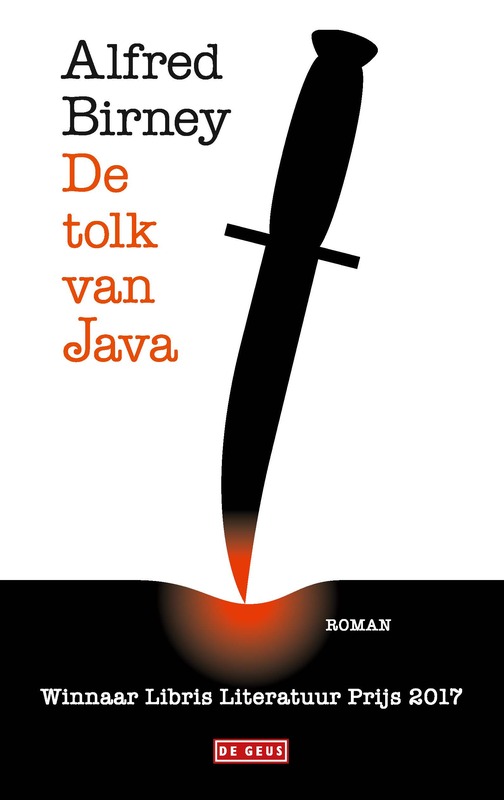 Haunted by the ghosts of his violent past, enraged by the indifference of a complacent Dutch society, the father again turns to violence. He beats his Dutch wife when she is pregnant with Alan and his twin brother Phil. Thus, they enter the world already suffering the consequences of the scars that were inflicted upon their father by the brutality of his past. Marianne Hirsch of Columbia University introduced the concept of “postmemory” into academic discourse in the 1990s. She uses the term to analyse “the relationship that the ‘generation after’ bears to the personal, collective, and cultural trauma of those who came before – to experiences they ‘remember’ only by means of the stories, images, and behaviours among which they grew up.” The post-memory generation suffers the scars of their elders who have experienced traumatic violence. Birney describes the post-memory predicament of Alan and his siblings who must now endure scars that emanate from the trauma of the historical wound their father had experienced during decolonization. Years of violent abuse from their father (and emotional abuse from their mother) follow. Wife and children are slapped, punched and kicked, they are beaten with rulers, belts, straps and even steel cables. Like Birney and his siblings, the children are eventually removed from their parents and will reach adulthood still living in state-run institutions. Yet Alan, just like Birney himself, becomes obsessed with unravelling the past of his father. In a conversation with his mother, Alan sums up the dilemma of the post-memory generation: “I’m afraid that I will look deeper into that rotten war of yours than you do yourselves. That is the destiny of someone from the post-war generation who thinks that his future is determined by the past of his ancestors.” (p. 72). Thus, the brutality of decolonization continues to live among those who have never experienced it. A well-known literary trope in the post-memory literature that has developed among the Indisch community in the Netherlands since the early 1980s is that of the silent Indo father. He has been scarred by his violent experiences during decolonization and he passes on to his Dutch-born children the burden of his awful silence. Birney’s work is an attempt to destroy this clichéd myth. Birney’s novel is like a stick of dynamite. Reading it is like hearing the slow sound of an explosion rolling from within the crypt that is repressed collective memory. The smoke clears, one peers into the crypt, and what appears is an exposed seam, a raw wound entombed in the nation’s past: a past that, as Birney himself proves, is not dead and is not even past. A inspirational piece of writing. Beautifully encapsulated and definite candidates for PTSD.